Informative Financial Services has always believed education is the most important aspect of financial planning. We want to equip our clients with the knowledge to succeed in all aspects of their financial lives. True to our mission of, clients first - we are dedicated to educating our clients and the "your area here" community in regards to their finances. We hope to play a positive role in the lives of others by offering free financial workshops and adult education programs for corporations and non-profit organizations throughout the year. We invite you, your colleagues, family members and friends to join us at our next workshop. Call us today to reserve your spot at our next event. Interested in booking one of our advisors to speak at your next event, or business meeting? Contact us for more information. 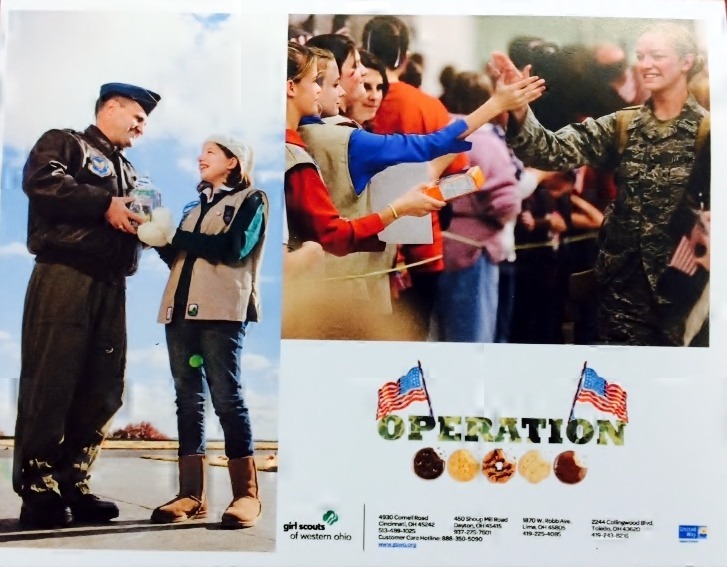 IFS is proud to have partnered with the Girl Scouts of Western Ohio and Heros in Action to support "Operation Cookie". 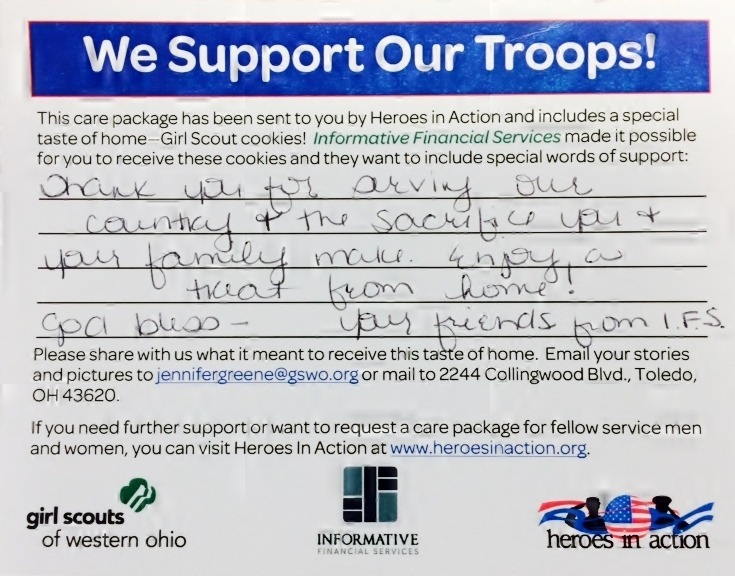 We have purchased care packages of cookies to be sent to our troops overseas. If you have a message you would like to include, please stop by our office and sign a card or comment in the space below and we will send your personal message on one of our cards along with a care-package of cookies. We appreciate all of our current and former service members that have become clients and friends and are committed to doing our part when possible!